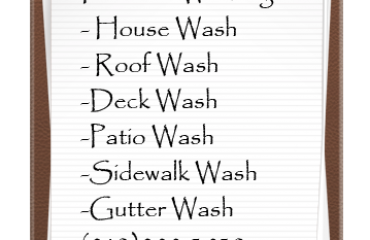 We use a soft wash process for roof cleaning in Savannah, Pooler, Richmond Hill, Rincon, Guyton, and Port Wentworth Georgia. Our process ensures no damage is done to the roof shingles. The pressure of our roof cleaning equipment operates between 60 psi. Do not let someone get on your roof with a pressure washer or without insurance. Our pressure washing equipment operates between 2000-4000 psi hot or cold operations. Understanding roof cleaning starts with The most common problem in the Savannah area. The black streak on your roof It’s not dirt, and it’s not random. Your asphalt shingles are loaded with crushed limestone filler, a nutrient source for Gloeocapsa Magma. This is a hardy green- blue form of roof algae that use the nutrients in your shingles moisture from rain and sunlight to grow and spread. This is what causes your shingles to turn black. The roof algae (often called roof mold) is spread by wind and animals and can’t be prevented. But luckily roof mold can be removed! You don’t need to replace your roof if roof stains have appeared, but you do need to clean the shingles. Our roof cleaning method can get black stains off, stop growth, and remove roof algae and mold from the shingle; shield the roof from future growth and protect your roof. 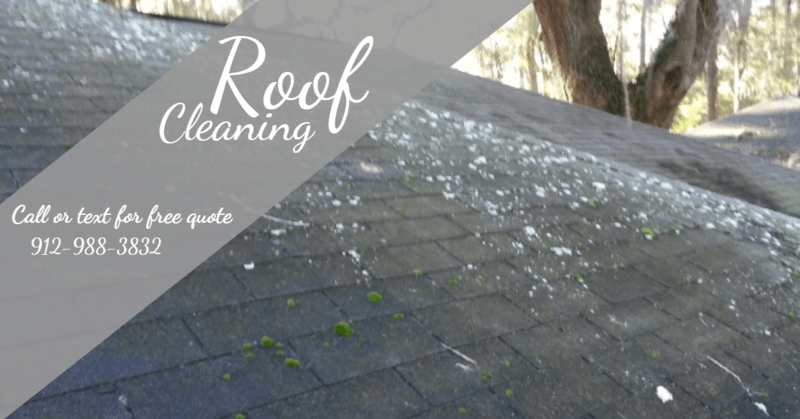 Those ugly black streaks of roof algae and mold stains are eating more than your roof! A 25-year roof may not even last 15 years if nothing is done. Here’s why: As the roof algae and roof fungus grow on your asphalt shingles, they eat away the base of the shingle and expand and contract with the outside temperature. Gloeocapsa Magma Roof Algae growth and movement loosens the granules, creating premature granule loss, dramatically shortening the life of your roof. Winter cold doesn’t cause roof fungus and algae to go away, they just become dormant, waiting for spring. Increased Energy Costs: $100 every year. Black streaked algae, mold, and fungus covered roof will absorb more heat due to its black pigmentation. These streaks cause internal attic temperatures to be a lot higher by preventing the reflective capabilities of the granules from doing their job. Convection stored in upper levels of the home is unable to dissipate heat due to the insulating factors. These soaring temperatures make your air conditioner work a lot harder and increase your electric bills sometimes as much as several hundred dollars a year. Black and dark green roof stains can send up red flags to many buyers. 40% of curb appeal is the roof, and in less than 3 seconds, potential buyers will determine that they don’t want a home. If the roof is dirty or covered with Algae or Black stains, the potential buyer makes snap decisions about your ability to care for the home, and assumes that the home has further problems on the interior. Or worse, a buyer will negotiate the cost of roof replacement into the price of the home. Using a roof algae cleaner to remove the roof stains before listing your home could save you thousands! Our method is SAFE… and the most effective you can find! weathered roofing membranes to the solar reflectance of the unweathered membranes. 3. An average roof replacement costs between $8,000 and $12,000. Now that you’ve fixed the problem, you want to make sure the roof stains stay gone! Notice, we didn’t say to keep the roof algae spores away, just the visible roof stains. The reality is that nothing is going to prevent roof algae from landing on your shingles, but we can prevent the lichen, mold, mildew, and sometimes the moss the algae colony produces, from becoming visible as a roof stain. We offer preventive services at a cost of $200 per application. Each application we guarantee for 12 months up to a maximum of 24 months. Once 24 months has expired we will need to re-clean your roof and start the process over. Essentially getting the preventive service will save you $450 over a 24 month period. Looking to get your roof safely cleaned? Nationwide Property Maintenance provides safe roof cleaning our roof cleaning process has been perfected. 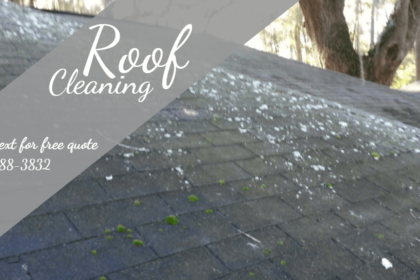 We have cleaned numerous roofs in Savannah, Pooler, Richmond Hill, Rincon, Guyton, and Port Wentworth area of Georgia. If you are ready to make your roof look new again call or text 912-988-3832 or fill out our contact form here.